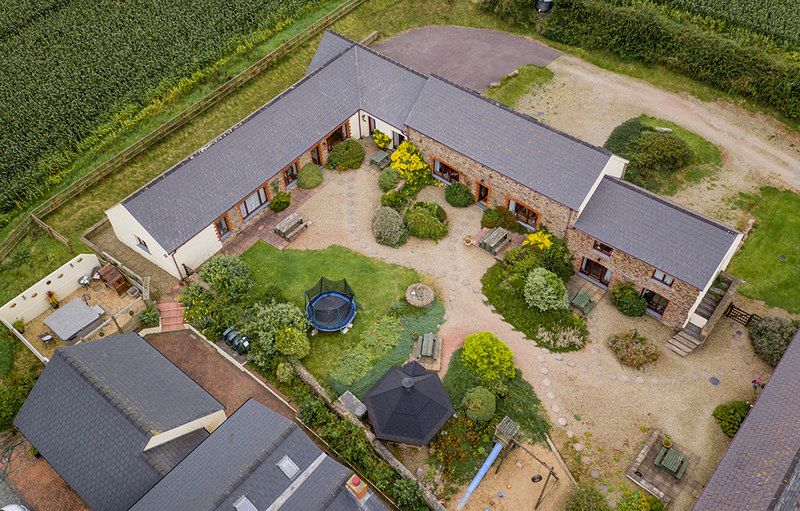 Shepherd's Cottage is a cosy, single storey barn conversion, very attractively furnished and ideally suited to a couple or small family. 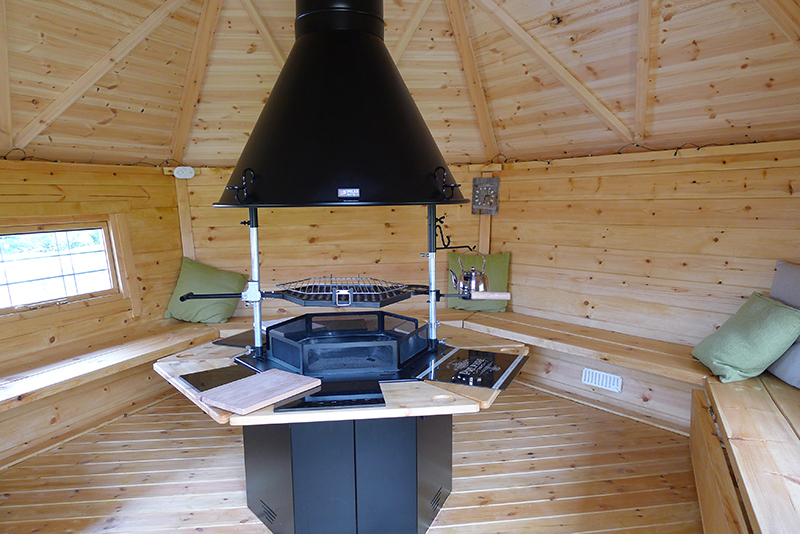 The log effect stove provides the character you would expect, but without the work. 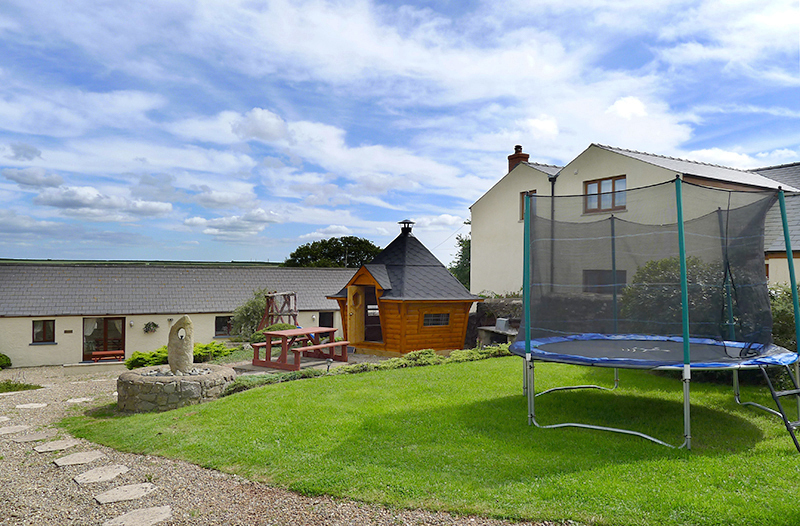 There is a children's play area, trampoline, games room with table tennis, pool table, WiFi and pay phone. 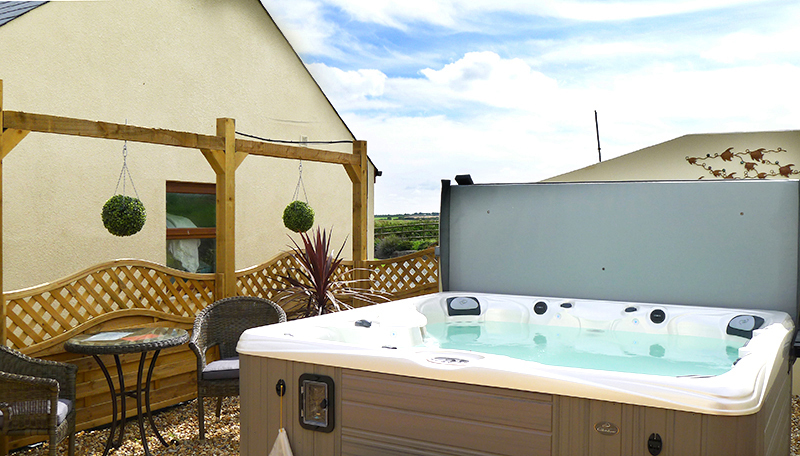 The communal barbecue area includes a Scandinavian style cabin and there is also a hot tub to relax in after a busy day. 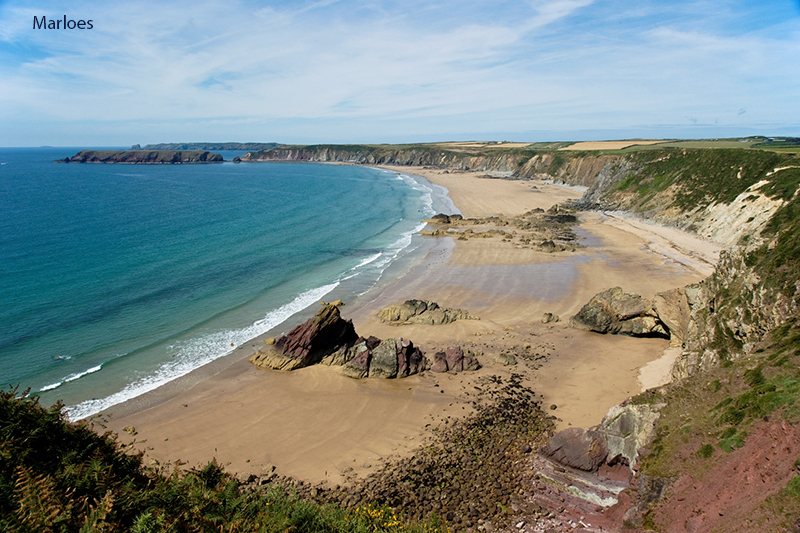 Walk the Pembrokeshire Coastal Path or visit nearby picturesque St Brides Beach. For the more energetic try the watersports centre at Dale. 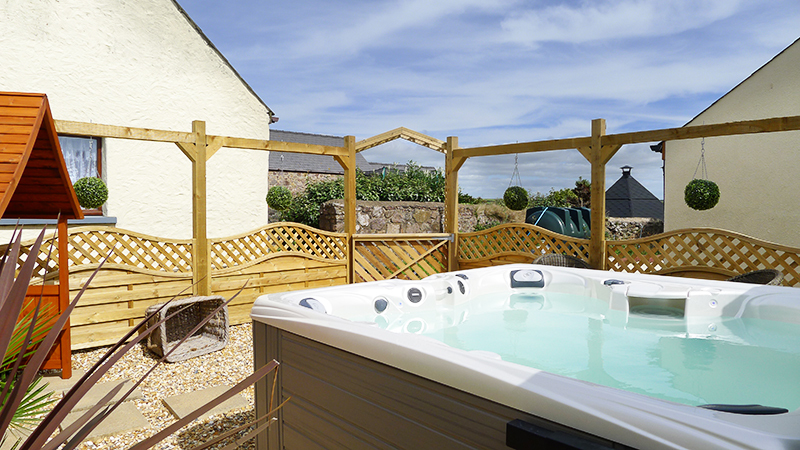 Drive along the coast through Little Haven and Broad Haven to Newgale with its 2 miles of golden sands, then return to this warm cottage to relax and unwind. For details of these 5 cottages please see 32457 Shepherds Cottage, 32455 Drovers Cottage, 32456 Ploughmans Cottage, 32458 Gamekeepers Cottage & 32459 Coachmans Cottage. 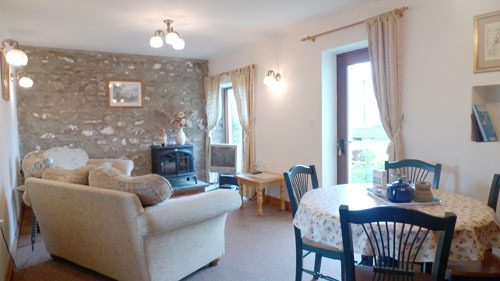 Ground Floor: Sitting/dining room, kitchen, family room/double/single/ensuite bathroom/overhead shower/whb/wc. Facilities: Electric oven and hob, microwave, fridge/freezer, dishwasher, washer/dryer, TV, DVD player, portable radio/CD player, picnic table. 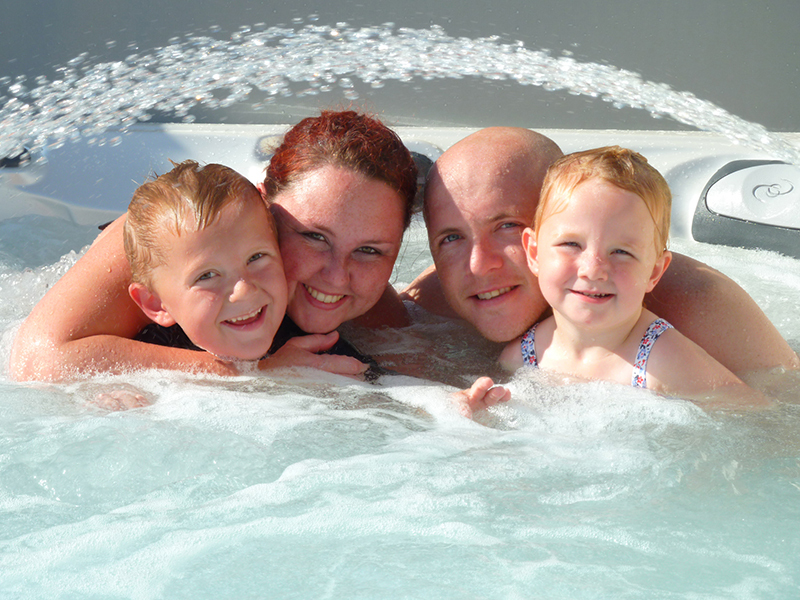 Communal barbecue cabin, hot tub, WiFi available in communal games room & in the cottage, payphone in games room, play area, trampoline. Our third visit and definitely the best. After a wet start the weather was good. Grandsons loved the trampoline and we all enjoyed the new barbeque but Marloes still our favourite beach, worth the walk. Really enjoyed our stay here, cottage immaculate and like a home from home. Our 5 year old loved Folly Farm and exploring and all the lovely beaches and rock pools. Hope to be back next year with our extended family. Very plesant short break - returned to this area after 40 years and pleased to find it still unspoiled. Accomodation well equipped. All very peaceful as well. 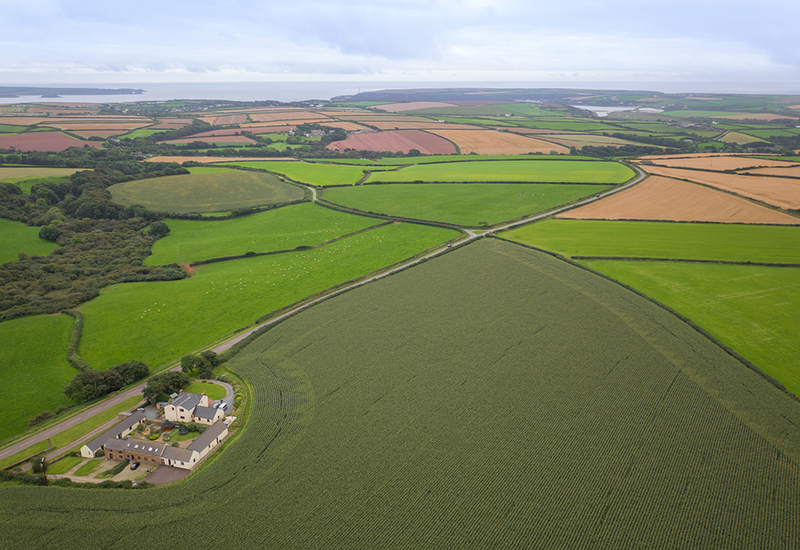 We completed a further section of the Coast Path from Solva to Milford Haven. Wonderful walking in magnificent scenery and warm sunshine. Appreciated the warmth and cosyness of Shepherds Cottage. Some good meals at The Castle , Little Haven. The Griffin in Dale and Eva's Bistro in Broad Haven. Hope the guests who follow enjoy their stays as much. We really enjoyed staying in the cottage it was really cosy. We just want to say thank you. An absolutely delightful cottage - thank you for making thank you for making it so welcoming - the welsh cakes went down down a treat. Though we only live in Cardigan it has been a really restfull break and we can return 'up north' fully re-charged. Wonderful!! Simon, Jan and Sammy jr. Thank you for a lovely stay. 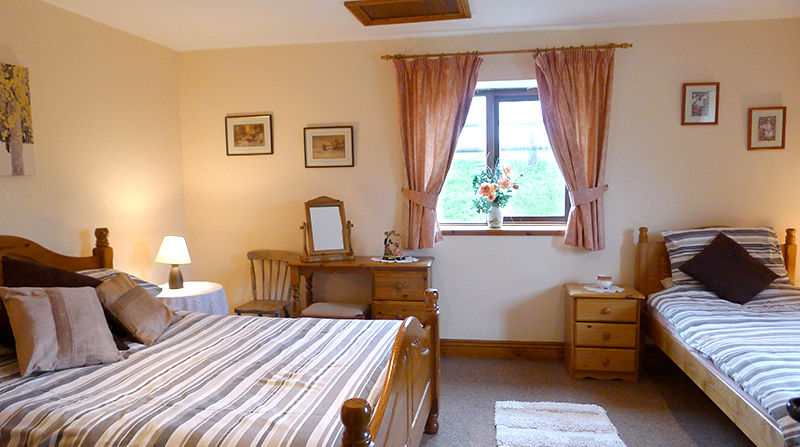 The accommodation and facilities are a credit to you, very clean comfortable and cosy. We definately intend coming back. 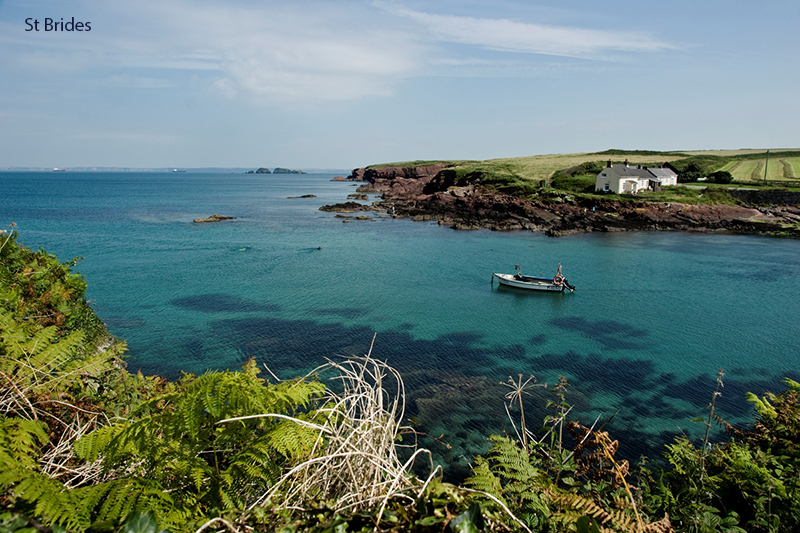 Its a perfect base here for exploring the lovely coves and beaches which are all so nearby. The perfect dog walking holiday. We have had a lovely time once again at the cottages. All the family are in each cottage and we all congrgate in the largest one. 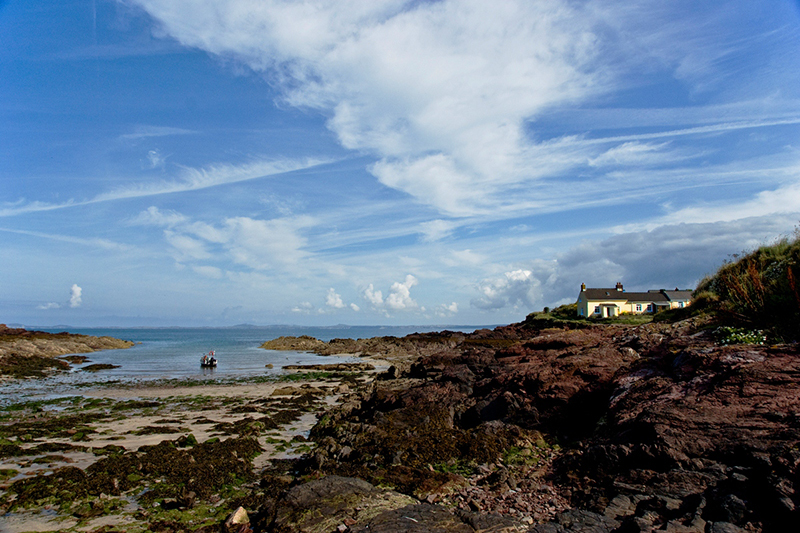 This year we have tried coasteering which was brilliant (Celtic Quest) kayaking, body boarding,at St Davids. We have had a great time and the weather not to bad! See you next year! - PS we got engaged. We had such a lovely time in this cottage, it was relaxing and a great way to spend our first family holiday. We did loads of things whilst here like going to Folly Farm, Chocolate Factory. I went to Nolton Stables which was amazing to ride along the beach and in the woods, I would recommend it to any horsey non-horsey person. We also took a 40 min drive to Tenby which is a great place with loads to do. I would definately recommend to my family and friends to come here for a holiday. We've had a lovely few days in this lovely cottage, it is perfect for relaxing away from everything, it is such a homely happy cottage. The welsh cakes were a lovely treat - thank you! would love to visit again! 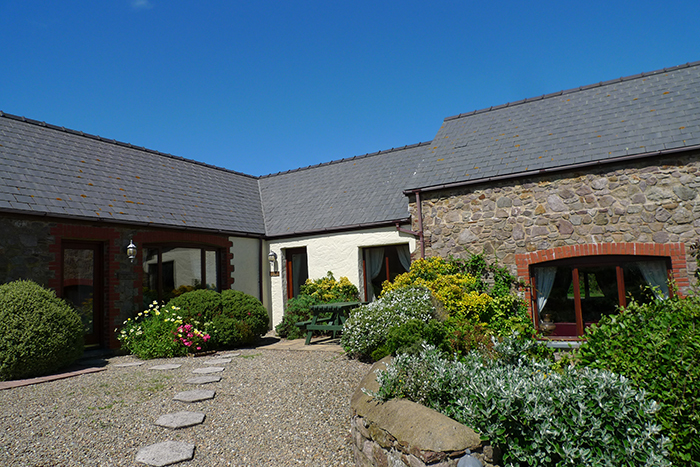 This is our 17th'Pembrokeshire Coastal Cottage. All have been wonderful and 'Shephards Cottage' is no exception. We've been very comfortable with everything we could possibly want. The weather has been perfect for enjoying coastal walks. A highlight was seeing seal pups on the beach at Martins Haven. We recommend The Griffin Inn in Dale for exceptionally good value pub grub. For something more sophisticated we loved the re-vamped Swan Inn at Little Haven - traditional Welsh food with a modern twist. Upper Hoaten Cottages are located on a B-road. Cars can be parked on the tarmaced area at the top of the car park on the left. 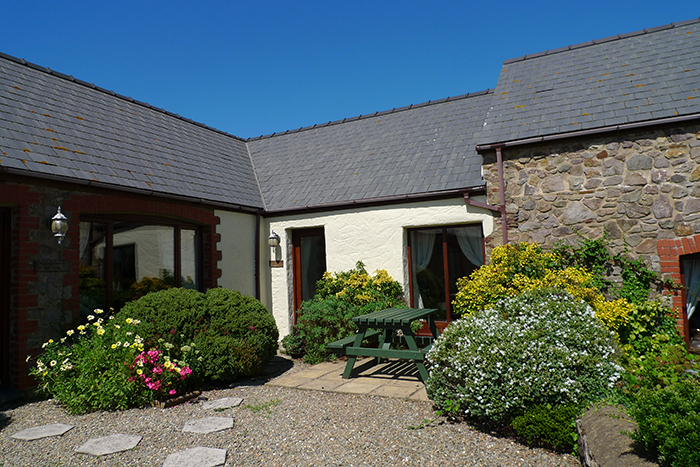 Cars can be parked on the tarmaced area directly outside the door of the cottage. 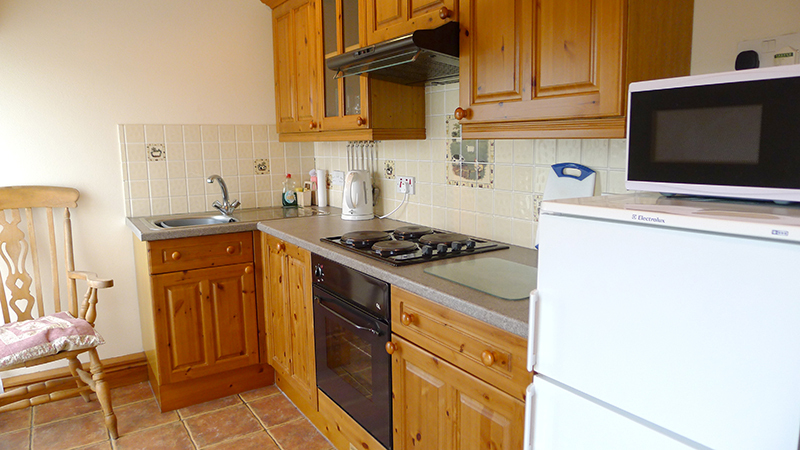 Enter cottage over 4” doorstep to kitchen with tiled floor. 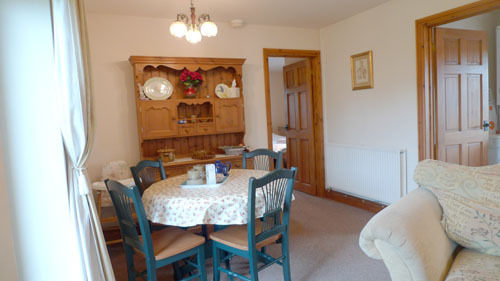 Wall-mounted boiler is also in kitchen and central heating and hot water can be set to suit guest’s own requirements. Through from kitchen is sitting/dining room which has a log-effect electric fire, a 28” flat screen TV and DVD player, both operated by remote control. 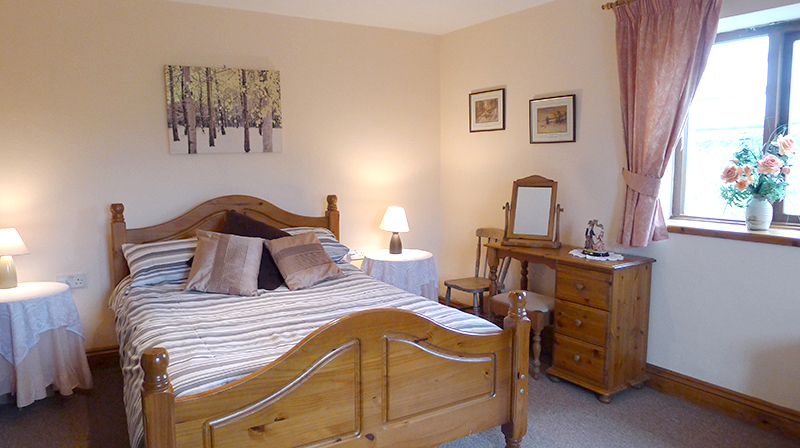 The bedroom adjoins this, with double and single bed. Another door leads to en suite bathroom – bath with overhead shower/whb/wc. There are no internal steps and all doors are standard width. 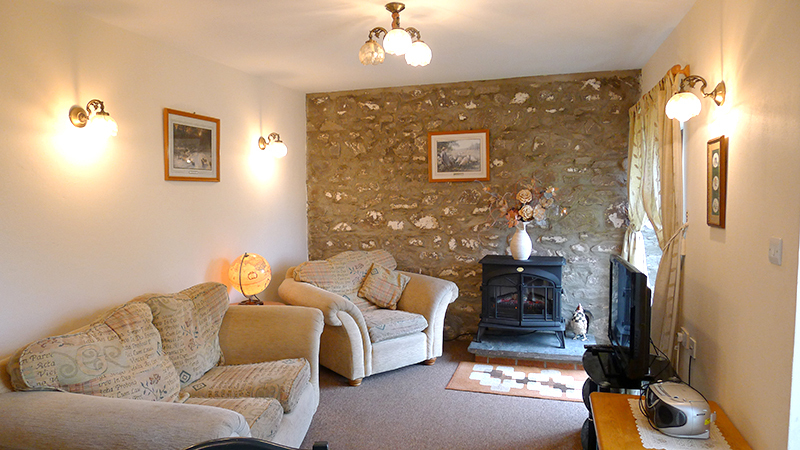 The cottage is well-lit throughout with natural and electric light. A glazed door leads from the sitting room to your patio area with picnic table. 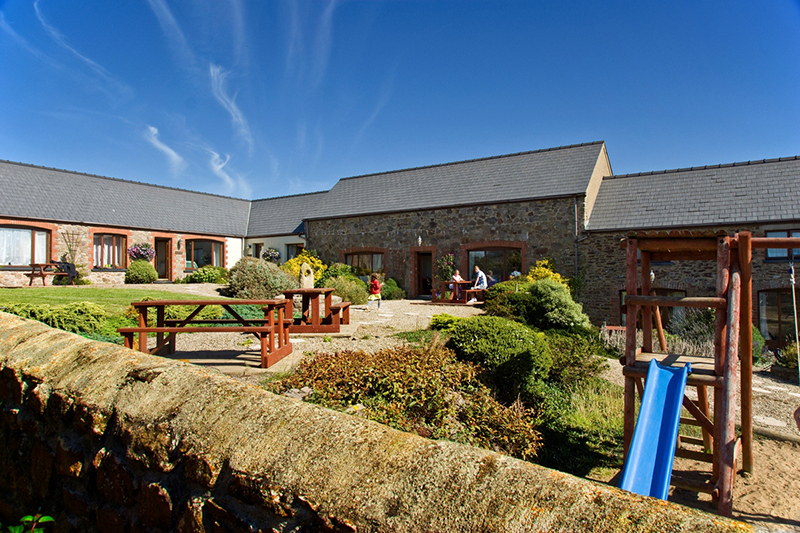 The sloping gravelled courtyard in front is enclosed, so children can play safely, well away from the car park area. 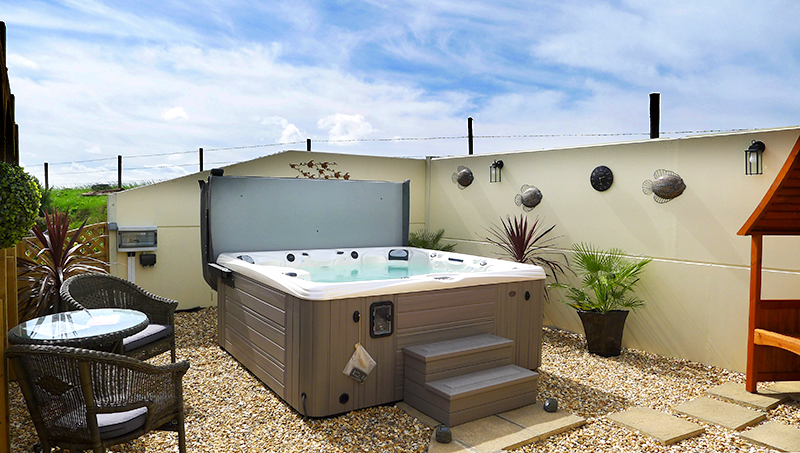 There is a children’s play area, a games room and barbecue area with barbecue cabin all within the courtyard. 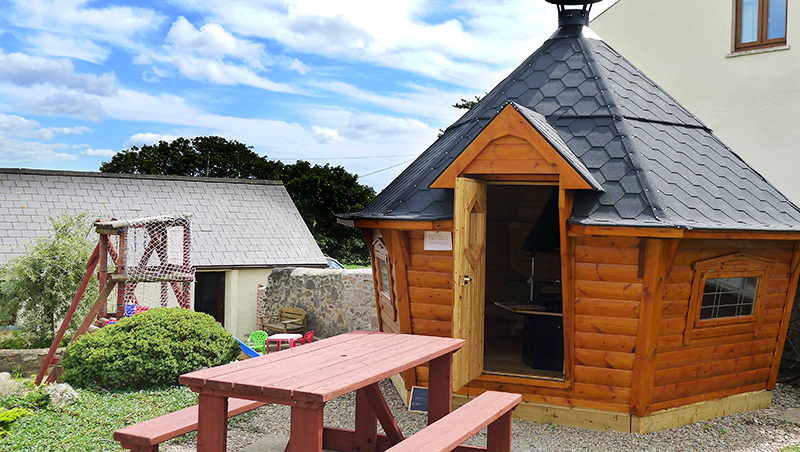 There is internet access in the cottage and WiFi connection in the games room at the bottom of the forecourt. 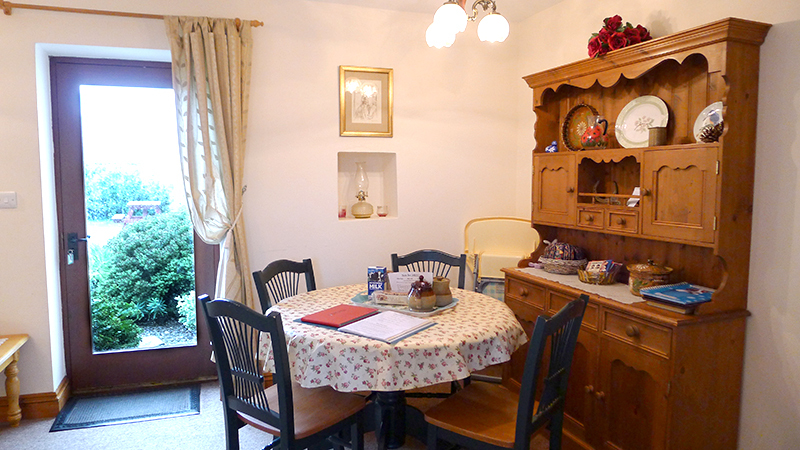 How would you like to contact us about Shepherds Cottage?